Learn how to file your UK Tax Return on your own, without the help of an accountant. On this course, we are not looking at how to calculation tax or the bookkeeping for what are allowable and disallowable expenses - we are simply focusing on the process one goes through in order to submit a UK tax return. It talks you through what is expected in a self-assessment filing. We look at how to log in, how to access and activate the 'self-assessment' service. Inputting the figures, viewing the calculation and submitting the return. This course will give you a good idea of what the inside of a tax return looks like. Basically, in a nutshell, it is simply an online questionnaire. In this course, we simply take those figures and look at how to slot them into the return, in order for it to give us our calculation of how much tax is due. 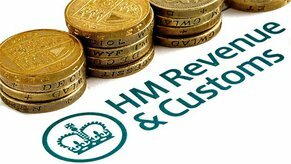 The main thing is that this course will give you an insight into the process of completing a UK tax return. No previous knowledge of accountancy or taxation is needed or presumed. This course is not for those who are looking at filing for American or Canadian etc., tax returns. We focus only on the British experience.